The story of World War II as told for the first time by survivors of Germany’s armed forces offers a remarkable personal record of the Third Reich’s rise and fall, from the inside These soldiers have an incredible and sometimes shocking story to tell—and it certainly does not make for comfortable reading. Secrets which have been bottled up for a lifetime are revealed, stories are told at last, and memories which have been hidden away for 60 years finally resurface. These are facets of history’s most dreadful war being revealed for the very first time. Here is the story of how those responsible for the maelstrom sent their armies to conquer only to see them crushed as the world united against them; and of men who were seduced by the siren call of Hitler, only to pay a terribly heavy price. 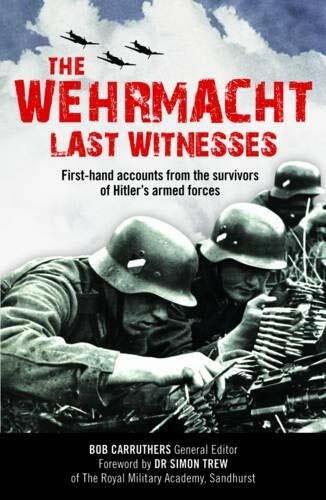 It allows the human stories to unfold within the bigger picture behind the major campaigns of World War II—from the early Blitzkrieg successes through the submarine warfare of the Battle of the Atlantic, and the brutal hardships of the Russian Front, to the last days of the Reich and the fall of Berlin. This brilliantly researched and thought-provoking book reveals unique human dimensions of the world’s greatest military conflict.